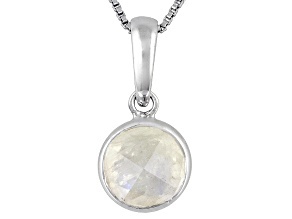 Radiate with the brilliance and intrigue of a full moon, with a moonstone necklace from JTV. 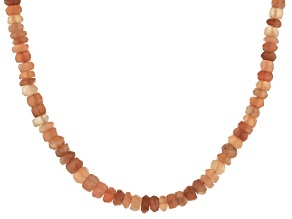 Moonstone necklaces are as versatile as they are beautiful. 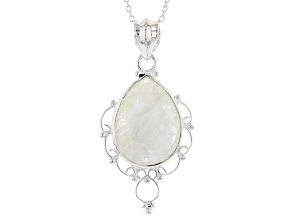 Explore solitary moonstone pendants to add some flair when you go to work. 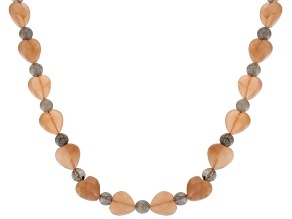 Or find more intricate beaded designs to give yourself a glow during an evening out on the town. Moonstone is a gem in the feldspar family. It gets its name from the sheen it displays thanks to its layered makeup. Moonstone's multiple thin layers allow it to scatter light to create an awe-inspiring phenomenon known as adularescence, wherein a glow seems to be originating from inside the stone. Aduralsecence has been compared to the glow a body of water exhibits on cloudless nights, when the moon beams unencumbered onto the softly rippling waves below. The same effect can also be observed in labradorite. 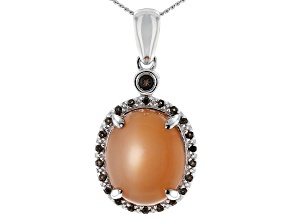 Moonstone has been used in jewelry since ancient times. Ancient Greeks and Romans associated it with the gods, the latter believing the precious stone was created from solidified lunar rays. 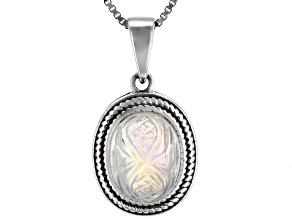 We know that's not quite accurate, but you can still capture that essence with a moonstone necklace from JTV. 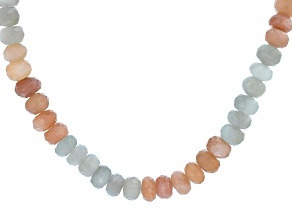 Moonstone's colorless appearance makes it ideal to pair with more vibrant gemstones, such as amethyst or garnet. As one of the nation's premiere retailers of moonstone necklaces and pendants, JTV backs each and every purchase with an assurance of authenticity. 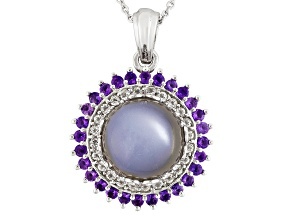 You can be sure that your moonstone necklace or pendant will be with you for the long haul. Complete your lunar look with a moonstone bracelet or moonstone ring.